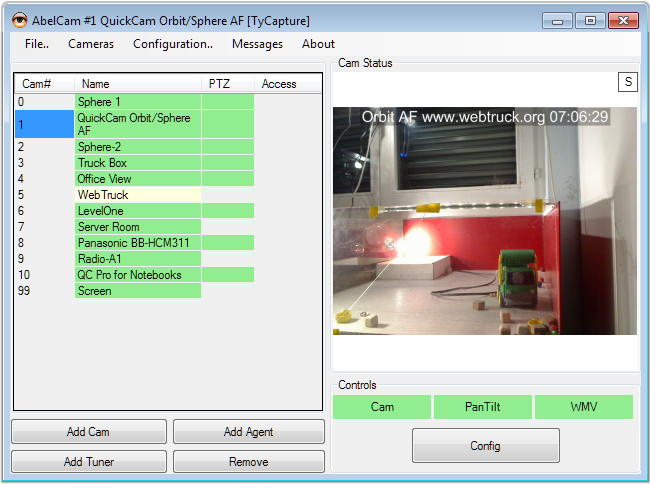 This release brings PTZ controls from within AbelCam. You don't need to open a browser window to move your PTZ camera. in this view you may use the numeric keypad or the mouse to move the camera around. The installer for this release is available from the Members Only section of this website.